Most lawn and garden experts agree that you should apply a pre-emergent herbicide in late winter, early spring, and in late fall. 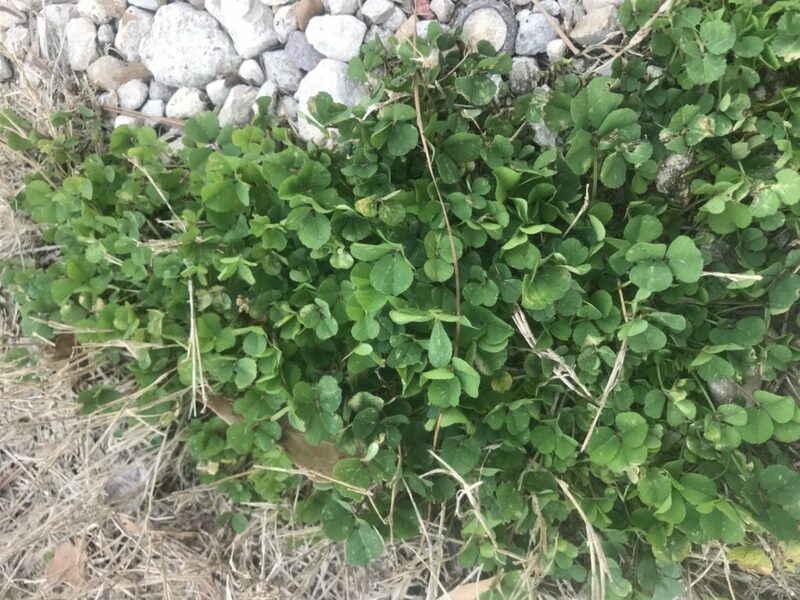 Texas weather is warmer in February than most other states in the US, and our temperatures vary dramatically in winter making it a challenge to get control of our spring weeds. However, controlling weeds is essential to any lawn care program so I will give you the information you need to get a jump on your weeds. All weeds have a survival strategy and cannot be eliminated entirely because they have different life cycles and methods of reproduction. Seeds can lay dormant for years before they germinate, surviving drought, fire, and herbicide applications. 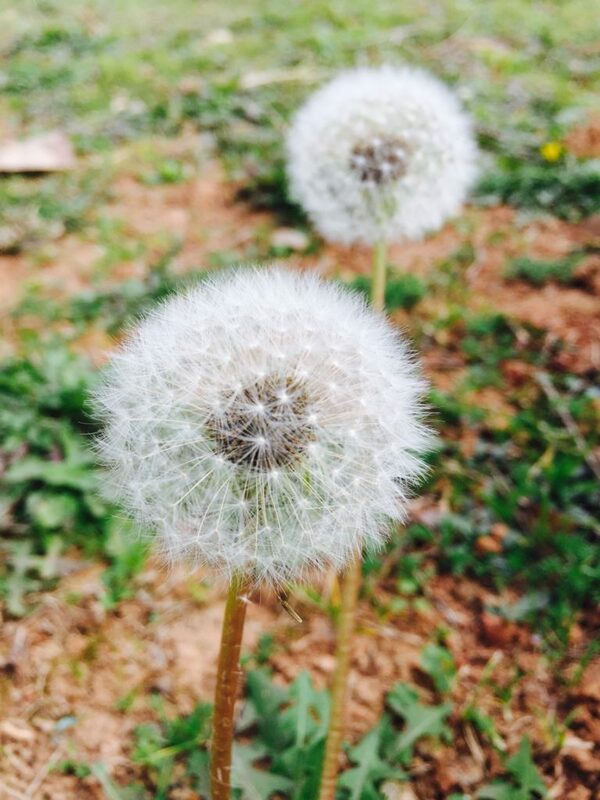 Even if you were to completely clear a property of seeds, seed, and vegetative propagules can easily be transported to the property by wind, water, animals or human activity. Also, if your area has unusually warm temperatures for an extended period, the soil temperature can rise quickly, and the weed seeds begin to germinate much earlier than expected and before your treatment plan kicks in. 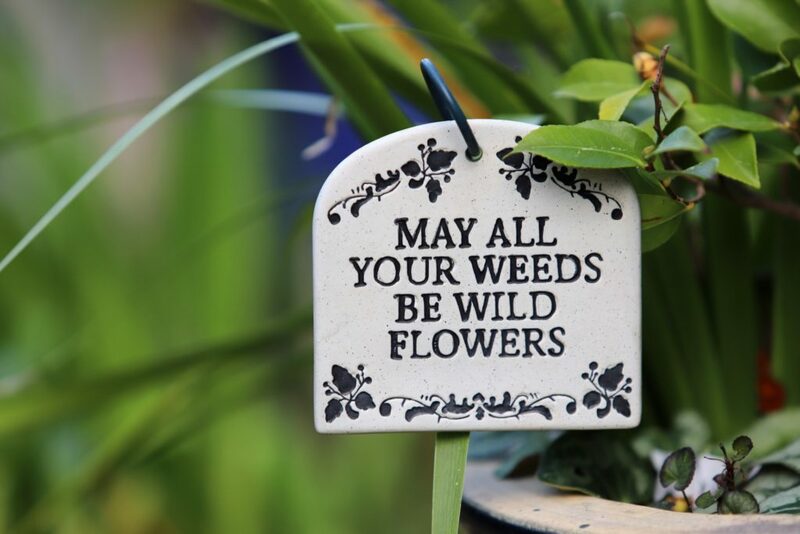 So, what can you do to give your yard a fighting chance in the battle with weeds? You can’t predict the weather so you must be flexible and adaptive when controlling your weeds. However, some general guidelines will give you a much better chance of being successful. Pre-emergent Herbicide – These products kill weeds before they grow above the soil. Timing is crucial! Apply pre-emergent just before the soil reaches 55+ degrees before the seeds begin to germinate in the soil. This is the tricky part since this can happen anytime starting in January. Before I wrote this article, I looked online to see the current soil temperature. It is mid-January, and the soil temperature is 52 degrees. Weed seeds could start germinating at any time. The time to apply pre-emergent varies significantly depending on your geographic location, but in North Texas, late January is a safe bet, so you don’t miss the germination window. Many pre-emergent products will allow you to make heavier product applications to get more extended control. I like to apply at a heavier rate in late January so the product will last through March and prevent crabgrass seeds from germinating. A pre-emergent herbicide is an essential tool in an effective weed management program. Here are some key concepts to grasp when using this herbicide. Pre-emergent herbicides are designed to control germinating weed seeds. As its name suggests, pre-emergent is targeted towards weeds that have not yet emerged from the soil. To get the best results and to avoid wasting time and cost down the road, the weeds shouldn’t be visible above ground at the time of application. Pre-emergent is not designed to control existing weeds or weed seeds. The weed will only be killed when it begins to sprout from the seed and hits the herbicide barrier. It is possible for seeds to remain dormant and not be harmed by the pre-emergent herbicide application. This is why weed control is a constant process. There will always be seeds under the surface and a portion will germinate each season. Annual applications must be made to significantly reduce large infestations. Pre-emergent herbicide can affect desirable plants. Caution must be taken if you’re applying pre-emergent and seeding the turf in the same season. Seed first, then apply pre-emergent at least 6 weeks later to allow for lawn establishment. Or seed at least 3 months after the pre-emergent has been applied. Pre-emergent herbicide must be watered in. Watering activates the herbicide, creating a barrier just below the surface. Most products call for 0.5 inches of irrigation or rain within 21 days after application. If you’re working with a non-irrigated area or a drip zone, apply the pre-emergent just before rain is anticipated. If you do have an irrigation system be sure that it is watering all areas evenly so you will get effective control. A good idea is to have your sprinkler system checked (link here) and repaired as needed to give you the even coverage need. This also gives you confidence that your system will be functioning correctly before the hot weather starts. Spreading out the herbicide so that it is evenly distributed is critical. You don’t have to be meticulous, but leaving any untreated sections will guarantee unfavorable results. What do I do if I already have weeds? If your yard already has weeds, you will need to use a post-emergent herbicide to kill the existing weeds. There are basically two types of weeds, grassy weeds, and broadleaf weeds. Grassy weeds are difficult to control once sprouted because whatever you use to kill these weeds will harm your grass, so your focus needs to be on the broadleaf weeds. A post-emergent herbicide is essentially a weed killer. It will kill weeds that have sprouted or emerged from your lawn. Most post-emergent herbicides are formulated for specific grass types. If you don’t know which type of weed you have, it is sometimes best to pick a post-emergent that is labeled for different types of weeds. In all cases carefully read the label to make sure you don’t damage your lawn’s turf and that you get control of your specific target weed. 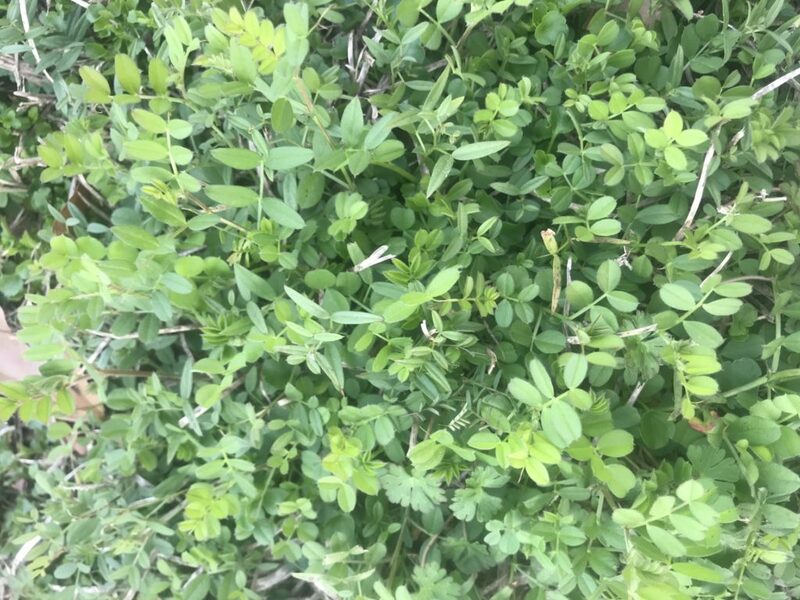 The pictures in this article show some the most common weeds in North Texas. The most common winter weeds that can be treated with post-emergent herbicides are henbit, chickweed, thistle, Poa Annua, and Dandelion. These nuisances appear in lawns during late winter and early spring. 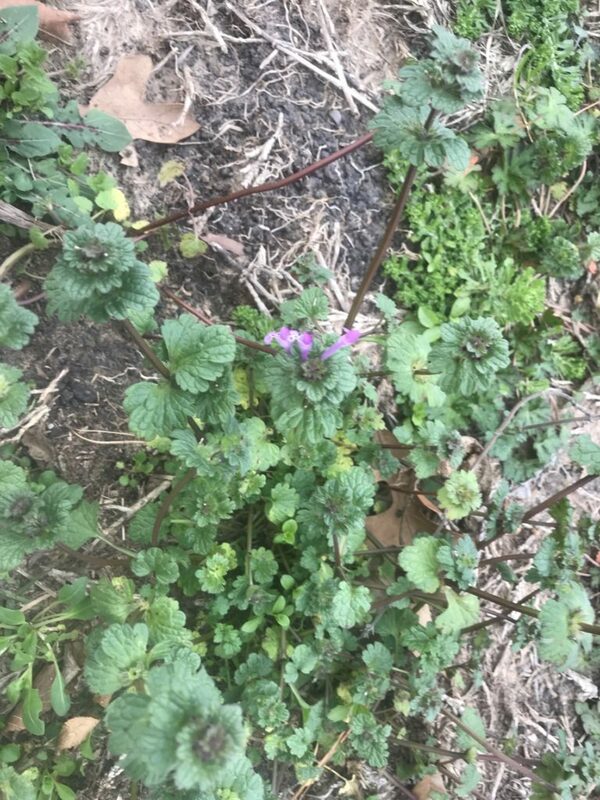 These weeds, along with many others, come from seeds that germinate in fall, grow slowly during winter and appear in early spring. They are unsightly in lawns and interfere with the growth and spread of grass. They die out when hot weather arrives and can leave brown spots in the lawn. Systemic herbicides are most useful on perennial weeds because they are absorbed directly into the plant and move throughout it for maximum killing action. Contact herbicides kill the exposed part of the plant and are used on annuals and smaller weeds. This may seem to be insignificant, but in most weeds, the death of the foliage is enough to kill the entire plant. Selective herbicides are used to target certain weeds and in areas such as turf where contact with the grass is unavoidable. If you use the guidelines above, you can get a jump on your weed problem. Keep in mind that pre-emergent and post-emergent products also will need to be used throughout the season to get the most effective weed control. 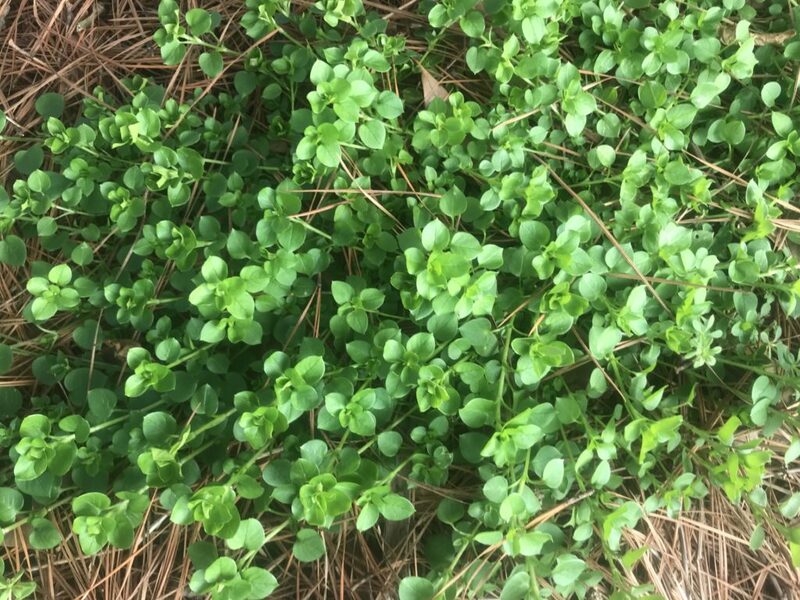 I will post more articles as the season unfolds concerning the timing of other applications and with tips to keep your yard looking beautiful! Is there a pre-emergent that can be put down in the fall for Poa Trivialis? Poa Trivialis is a cousin to Poa Annua – The pre-emergent apps will control this. Unlike Poa Annua the Trivialis is a perennial .My guess is they’re probably looking at Poa Annua because unless they’ve overseeded the yard with this seed they should not be seeing Poa Trivialis in this part of the country .